when I close the lid of my laptop. I found a post regarding the same issue but the solution posted there did not work for me. The solution was to run 'sudo service network-manager restart' but it did not work. Not the answer you're looking for? 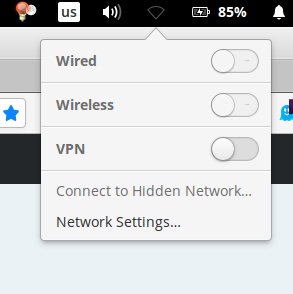 Browse other questions tagged wifi networking or ask your own question. How to downgrade libnl packages to fix network manager?